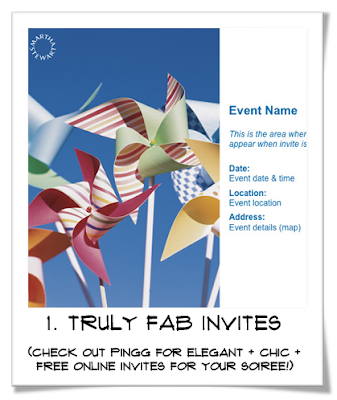 Sending out a lovely party invite is the first step in creating the mood for your small space soiree! Check out the very fabulous, pingg. You can use existing designs - even party planner extraordinaire, Martha Stewart, has teamed up with pingg - or custom design your very own. Keep the food simple + small and keep it coming! Your guests will enjoy a selection of small bites. 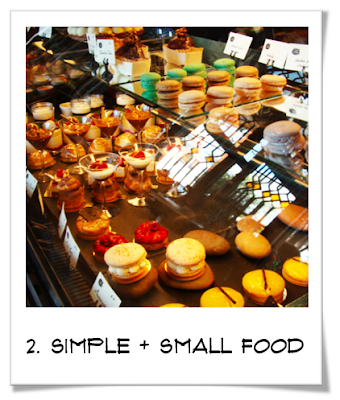 Be inspired by bakeries and shops around town. Loving the chocolate mousse in a martini glass at The Little Door Next Door. Very easy to recreate! 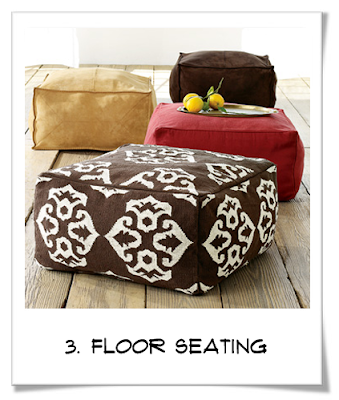 Place pillows and floor cushions on the ground to encourage floor seating. This is an intimate yet simple way to create more room in your space. Forget formal dinner parties via dining table and gather your group on the main room for a fun and fab casual vibe. Take your kitchen chairs away from the table and place them next to each other. 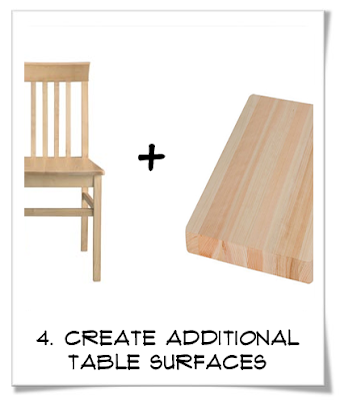 Lay a board on top to create additional table surfaces for your food + drink. 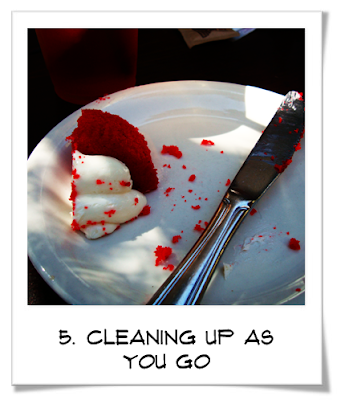 You will enjoy your party even more if you do a little clean up sweep every now and then. Not only will it feel more roomy but the less clutter, the more comfort. No matter how small your space happens to be, it is your lovely home and enjoying your space with friends and family is what it's all about! If you are looking to have a fab little soiree in your home then take a look at LOVING. LIVING. SMALL. 's TOP 5 tips for making the most of your home when having a party and enjoy! Cheers! thanks for the tips! what great ideas! I just discovered your blog and I am so happy I did. What a concept. For so long I complained about my tiny 975 sq. ft. house and why? I felt it was too tiny to entertain although I have a nice yard and I couldn't get past that. I actually have started my own blog and plan on relishing this lovely house of mine. Thank-you for reminding me that living small is fabulous.